Simply put, Moto G 2015 should survive from immersing into water (up to 1 meter) for about 30 mins. The IPX7 rating indicates Motorola is serious about the durability of Moto G 2015. As a comparison, Moto G 2014 only has water -repellent coating. Please be warned, although Moto G 2015 is water resistant, water damage is probably not covered by the standard warranty in your region. No more LTE editions for Moto G.
4G LTE is supported in Moto G 2015. Period. In Moto G 2015, you will get even longer battery life. All-day battery is not a dream for 90% or more Moto G 2015 owners. The battery capacity in Moto G 2015 is 2470mAh, which is about 20% more than that in Moto G 2014. For heavy game players, Moto G 2015 not only bumps up the CPU speed, but also offers an option of 2GB RAM (and 16GB storage). Many complains on Moto G is from game players. The 8GB standard storage and 1GB RAM is hard to deliver satisfactory performance for resource-intensive games, although Motorola minimize the bloatware and over-heading. Equipped with 2GB RAM, the 64-bit Snapdragon 410 CPU, Adreno 306 GPU, and latest Android Lollipop 5.1, Moto G 2o15 surely will boost gaming experiences for those game players. Of course, 2GB/16GB configuration will cost your $40 more compared to the base model (1GB/8GB). If you are a game player, the $40 is well spent. 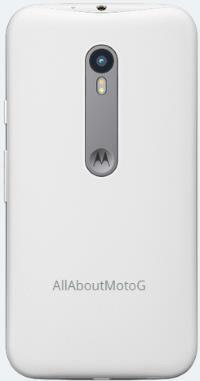 What do you think about Moto G 2015 (Moto G 3rd Gen)? For Moto G guides and tutorials, please check Moto G How-to page, or Moto G online manual page. All was fine with my phone until the Marshmallow update a few months ago. Now, everytime I turn my phone on, there is a SIM card error. The phone works-I can make and receive calls, make and receive texts, camera works and can connect to the internet. There does seem to be a little error when I connect to Google apps: Hangouts, sheets etc, but it disappears and I am able to access those apps. Contacted my carrier by email and they gave me a few suggestions on resetting the phone. Took out SIM card several times, cleaned it as instructed by carrier technician, cleaned the connections as well. Contacted carrier and they sent two SIM cards. Contacted the carrier and they replaced the phone twice. The last phone I installed SD Maid and they phone did not have errors for two weeks but eventually it did. Contacted Motorola and returned the phone and they said they repaired it. I clear the cache regularly. With each new phone, the original OS was installed. The error did not happen until I updated and I can’t figure out how to bypass it. I’d like to have a phone without the error because I don’t know if the phone is not working in the background. If everything works fine, I just keep getting this error when I update with multiple phones, should I just ignore it? Is this a common problem.? What’s exactly the error message? Any related icons in status bar when you got the error message? I have moto g 3 phone,few days ago I’m brought the SanDisk ultra dual USB drive 3.0 pendrive but it is not support.why it is not support ??? Pls give me solution. Did you check it in settings – storage? Some USB drives may require higher current than the phone USB port can offer. In this case, the USB driver will not be detected. I am not able to charge also not able to connect to PC in my Moto G3 2015 after marshmallow update. But sometime it gets charge also connect with PC but that is very rare. Also sometime it is getting charged when I do this to switch off the mobile but the charging is very slow. Sometime the icon shows that the mobile is getting charged but when I go to setting about phone, its says not charging. I did all the process to cure this including factory reset but nothing working, please help. How about using the original charger? First I used Moto G3 charger but didn’t work, I used other charger but still problem remain same. It does’t charge when it is switched on but it gets charged once I switch off the mobile but the charging time is very slow (7-8 hours). All this happening from few days after Update with Marshmallow. Can I rollback to older android version? It sounds like a hardware problem, not software issue. If the phone cannot be charged through wall chargers, you should check the phone in local service center. There are no official ways to till back Android update. But you can flash the phone with Lollipop in the service center. Why is it sooo hard to find out information on phone, I am computer literate but not comfortable and do not have any one around to answer my questions at the drop of coin. Having to follow the dots (sites) drives me crazy! If I type in the manual for my phone. I clicked where it said “download” here. I got some “coding” nothing I could understand. My brother convinced my to buy this Motorola over the Samsung 5s which I am increasingly regretting. I have not been able to find holders or cases except on line. Stores that sell Motorola do not also sell cases and/or wallets, (ex. Best Buy, Frys Electronics, Target). You can find and download user manuals in our site. We have section for this. For cases and accessories, it’s easy to find online as you already know. They are usually cheaper than in physical store. Because Motorola doesn’t sell so many phones, shops are unwilling to stock accessories for them. I could not download the manual for the Motorola G3 (2015 ) in Swedish . Motorola doesn’t release user manual in some languages. We will check whether they released the Swedish language version of the user manual for Moto G 2015. Get a high quality micro SD card, then use it as internal storage. This is a new feature in Marshmallow. After update to Android 6, no possibility to hear FM Radio through earphones, only through phone speaker. Any solution? Did you find the switch between headset and speaker? No switch available . Have read that latest update no longer includes the icon appearing at top of phone with Lollipop allowing you to switch between speaker and headset. Thank you for the update. Enjoy the phone. It’s all after got updated to marshmallow..
My mob(motog 3rd gen) started to hang always. You should backup the phone, and then try a factory data reset. This should solve most problems in Android Marshmallow update for Moto G.
How to enable sleep mode and i want uninstall latest software update…? You can try do not disturb, which can replace the sleep mode in the old Motorola Assist app. There are no official ways to uninstall android updates. But if you really want to roll back, you can visit local Motorola service center and ask them to flash the older firmware. You need backup the phone before visiting them. You probably need get the GSM one (AT&T or T-Mobile). Do NOT get the one for Verizon, which is using different technology. Please note the 4g LTE may not work on your country. You are probably limited to 3g hspa+. Anyway, it’s always better to purchase phones locally if possible. Motorola doesn’t offer international warranty. I have recently purchased a Moto G EXT from my cellular service provider (Consumer Cellular). It won’t switch automatically from cellular data to WiFi when I get home. I have to remember to either power off the phone or turn airplane mode on then back off. Kind of inconvenient, and if I forget, I’m burning up data. I called my provider and they sent me another phone, but the new one does the same thing. We have also upped the number of devices in our router, but it hasn’t helped. My husband had the same phone and does not have the issue. Any suggestions? Have you check whether they released the Swedish language version of the user manual for Moto G 2015 yet. No, as I know. Motorola only released the get started leaflet (you can find it in the box) in Swedish. For user manual, you have to use English one, as I know.